It always upsets me that there’s such a stigma around mental illnesses, especially as they are so common. Despite the fact that I am upset by this, I still refuse to openly talk about my own battle with mental health, simply because I’m embarrassed and afraid to be judged. Quite the contradiction – I hate the stigma, yet I clearly let it live on by not talking about my own battles. In the spring of my freshman year of high school (2007), I decided to give up sweets for Lent. Innocent, right? Well one thing led to another and I was no longer avoiding sweets, I was avoiding anything I deemed “unhealthy” and overly restricting my calorie intake. I was exercising excessively and dropping weight extremely quickly. My poor, sweet friends confronted me with their concerns, and I agreed, I had a problem and told them I would stop. Inside, though, their comments only fueled my fire. I accepted their concerns about my weight as a compliment, and used this to drive me to more weight loss. As school let out for the summer, I had more or less removed myself from any relationships I had with people. I spent my days working out, restricting food and being utterly miserable. I can still picture the meals I ate. 3/4 of a cup of Special K (no milk of course). A can of tuna (no mayo) with pepper and a sliced tomato. Minimal intake of whatever my mom cooked for dinner. Writing that brings me to tears, because I feel the misery and hopelessness I felt back then. And it’s suffocating. I vividly remember getting up from a chair by the pool, and blacking out and falling to the ground, because my blood pressure was so low. At my worst, my heart rate was 44 and I weighed 88 pounds. Keep in mind I’m 5 foot 5 inches. Terrifying. After being told if I didn’t get better (by the 3 doctors I saw each week) that I would be sent to treatment, I had hit rock bottom. And I was able to heal and move forward, with the help of my family and friends and a great team of doctors. Fast forward to junior year of college (2012-2013). My life felt like it was falling apart. My dad was undergoing chemo, my grandmother was dying of ovarian cancer and I was utterly devastated. I turned back to the control of the eating disorder to avoid the hurt. I would wake up at 6 am to workout before class. I would barely eat at (delicious!) sorority meals. I blacked out at parties. I removed myself from friends, and I know I scared people. Some sorority sisters of mine reached out to my parents, who once again came to help. I sought treatment at school and seemed to be getting better. Better enough, in fact, that I moved to LA to complete an internship. I was doing well, but I missed my parents and sisters. I worried about my body, because I didn’t belong to a gym. 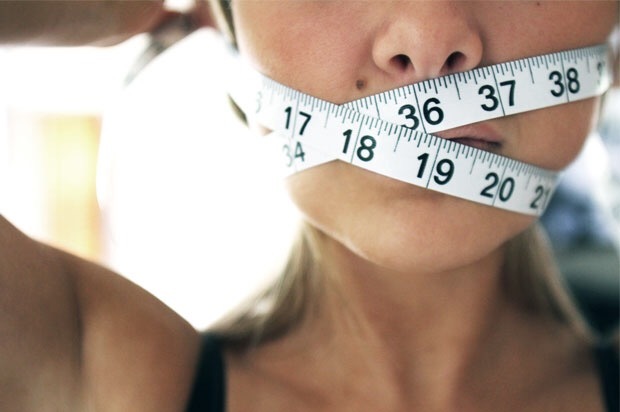 I felt out of control, and that’s when the anorexia morphed to bulimia (as it often does). After one particular episode that summer, I ended up in the hospital. You’d think that would be rock bottom, like when a drug addict OD’s, but even that didn’t stop my behavior. And, to be frank, it still hasn’t. I still struggle. To this day. It has been 8 years, and I know it will be a lifelong struggle. Which scares the bah-jesus out of me. I’m writing this today, after 8 years in this battle, because I am determined to do something. While I’m still figuring out what that something is, I’m calling on you all for help. Help to remove the stigma around mental health. Help and support as I make my decision for what’s next. Prayers for recovery. I want to show that I have accepted my problem, and I’m ready to raise awareness and start a dialogue that needs to be started. We as a society have to change, have to stop putting pressure on people to look and act a certain way. We have to stop perpetuating the belief that there is norm we need to prescribe to. There are over 7 billion people on this planet, and I’m damn sure there’s not just one best way for us to look and act. Yet, while I’m damn sure, I’ve still fallen victim to this belief and I fight a daily battle as a result. And I know I’m not the only one, despite often feeling so alone. So please consider giving in some way, even if it’s just saying a prayer. It all matters. Not just for me, but for the millions of people who suffer. This is the scariest, most honest piece I’ve ever written. I’m fearful of the judgment I will receive for being so open. But I know, the stigma won’t end without the conversation and, let’s be honest, when do I ever pass up the chance to start a conversation.